Turkish boutique yacht designer and builder Mazu Yachts is proud to introduce the all-new Mazu 12m/38' soft top; this new model will be launched early June 2017. Mazu Yachts has been designing, producing and marketing luxury ‘hard-top and open’ motor yachts since 2011. Mazu Yachts known for its sleek and aggressive looking planing motor yachts made with cold-molded system. Mazu Yachts stands out for ‘hand-crafted art of superyachts’ due to its building technique, which gives the hulls extra strength and lightness. 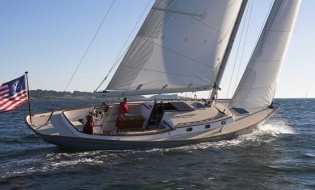 Designed by Halit Yukay, the Mazu 38 soft top, has been sold to a European client. 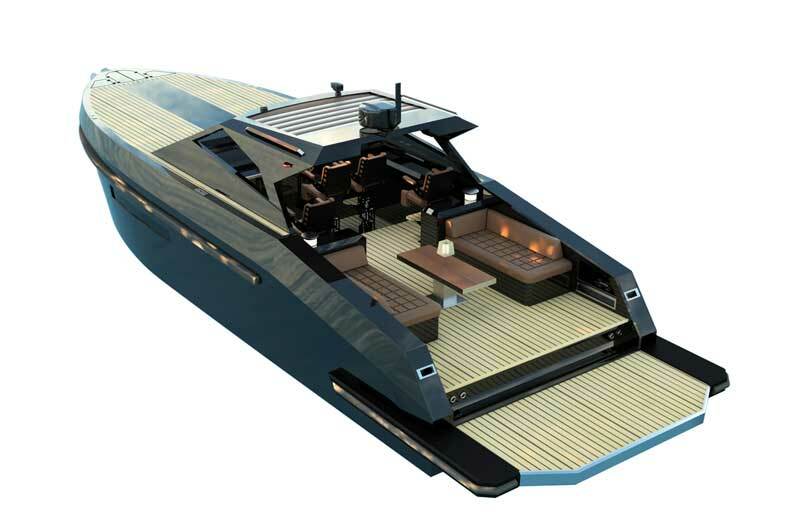 He desired to achieve a “military look” able to combine latest luxury superyacht tender ameni- ties and trendy elegance. Yard achievement is this all-new hard-top completely integrated it the exterior sleek design. On Mazu 38 soft top deck, the two pilot seats and also the two passengers seats can ab- sorb every shock to ensure best comfort and safest navigation. The foldable table oper- ates via an hydraulic up down movement. Halit Yukay also designed a fantastic indoors lighting mood from the Italian supplier Cantalupi so to enhance Mazu 38 dramatic feeling. The main target about the navigation performance was to travel with outmost elegance and comfort, in complete safety. New Mazu 38 soft top is so equipped with two Volvo Penta IPS 400 engines and the boat claim to reach a top speed of 34 knots. VOLVO PENTA's İPS propulsion system provide with fuel saving. Volvo Penta is the modern inboard system, superior to inboard shafts in every vital aspect – handling, onboard comfort and performance. Those benefits has made Volvo Penta IPS the by far most popular pod system for leisure boats. 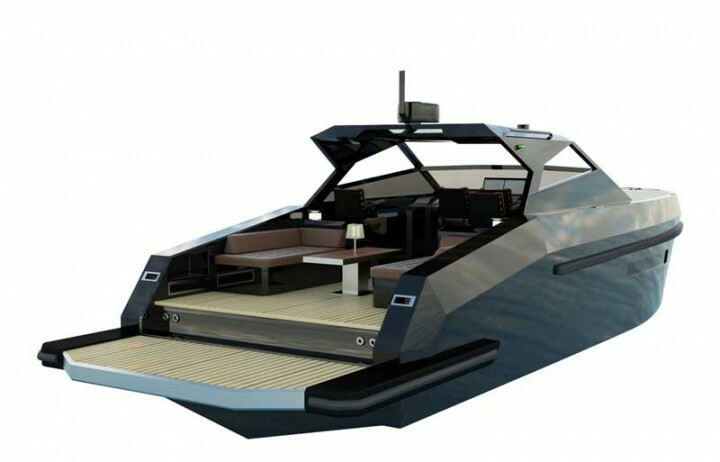 İt is the ultimate super-yacht tender with unparalleled stability, comfort and power.